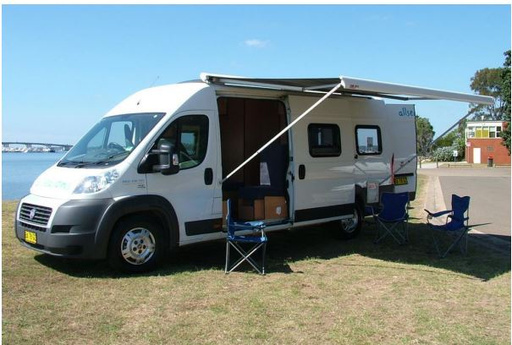 The Cruiser 4 Berth Motorhome is custom designed by us to be easy to drive, aerodynamic and economical. For the traveller, it is accommodating, allowing for a bed to be left prepared at all times without interfering with seatbelts. With the added comfort of toilet and shower, you can stop and camp almost anywhere. Rate includes; Unlimited mileage, Bedding/Linen, Cutlery/crockery, Awning, Maps and 24-Hour Roadside Assistance. 1 rear seat, anchor point.